Lyle J. Micheli, M.D., is director of the Division of Sports Medicine at Children's Hospital Boston, Clinical Professor of Orthopaedic Surgery at Harvard Medical School in Boston, and in 2005, was named the O’Donnell Family Professor of Orthopaedic Sports Medicine at Children's Hospital Boston. He received his undergraduate degree from Harvard College in 1962 and his medical degree from Harvard Medical School in 1966. As an undergraduate student, Dr. Micheli was a keen athlete, competing in rugby, gridiron football, and boxing. He is a past president of the American College of Sports Medicine (president 1989-1990), having also served on the Board of this organization and as Vice-President of Medicine. Since 1988, Dr. Micheli has represented the American College of Sports Medicine in the selection process of the Sport Science Award of the International Olympic Committee President. He served as Chairperson of the Massachusetts Governor's Committee on Physical Fitness and Sports from 1991 - 2004. In 1998, he was elected to the Executive Board of the International Federation of Sports Medicine (FIMS), where he previously served on the Education Commission since 1990 and as its chairperson from 1995 to 1998. In 2002, Dr. Micheli was elected Vice-President of FIMS. In November of 2005, Dr. Micheli, was invited by the International Olympic Committee’s Medical Commission to IOC Headquarters in Lausanne, Switzerland to co-chair and assist in the writing of an IOC Consensus Statement on the Training of the Elite Child Athlete. Dr. Micheli has been the Attending Physician for the Boston Ballet since 1977 and is Medical Consultant to the Boston Ballet School. In 1984, he was appointed to the Board of Directors of the United States Rugby Football Foundation, and he remains an active member of a variety of local, national and international initiatives dedicated to the advancement of sports medicine, sports science, and sports injury prevention. In 2001, Dr. Micheli was elected Chairman of the USA Rugby Medical and Risk Management Committee. In 2002, Dr. Micheli was elected to the Advisory Board of the Bay State Games. He is the author of over 300 scientific articles and reviews related to sports injuries, particularly in children, scoliosis and other disorders of the spine, and medical problems of dancers. His present research activities are focused on the prevention of sports injuries in children, including assessment of risk factors and injury occurrence, as well as assessment of dysfunctions of the shoulder in children and young adults. The sports that particularly interest him are rowing, ballet, distance running, and rugby football. Dr. Micheli has edited and authored several major books, including The Sports Medicine Bible (HarperCollins, 1995), which is a Book-of-the-Month Club alternate selection, and is generally considered the definitive trade book in this field. Dr. Micheli is the author of The Sports Medicine Bible for Young Athletes. Knee1: Can you tell us a little about your background? Dr. Micheli: I attended Harvard College and Harvard Medical School and following my residency training in orthopaedics at Children's Hospital Boston, Mass General Hospital as well as Brigham and Women’s Hospital, I entered the military service and served in the Air Force from 1972-1974. 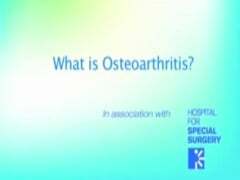 Knee1: What lead to your interest in Orthopedic Surgery? Knee1: What is your area of clinical expertise? Dr. Micheli: Upon returning to Children's Hospital Boston, I was one of the founders of the Division of Sports Medicine. This Division has now grown from seeing less than 100 patients per year to seeing more than 400 patients per week. Knee1: Are you currently involved with any research? Dr. Micheli: In addition to actively treating patients in both the clinic setting and the operating rooms, I am involved in an extensive number of research projects related to both the treatment and prevention of sports injuries in children. Our most recent project is the formation of a research center for the study of exercise and sports for children which we hope to begin in the year 2010. Knee1: What medical organizations are you active in? Dr. Micheli: I am presently most active in the International Federation of Sports Medicine, where I serve as First Vice President, representing the Americas on the executive board of this organization. This organization (FIMS) is the oldest sports medicine organization in the world, founded in 1928. It is the meeting place of more than 90 national sports medicine organizations. Knee1: What do you find most gratifying about your work? Dr. Micheli: What I find most gratifying about my work is working with these great, dedicated and hard working young athletes. Our goal is to help them when they sustain an injury and try to return them to the area of sports that they most enjoy. This is a wonderful group of patients to deal with. They, in general, are very compliant with our advice and work hard to accomplish their treatment and goals. Knee1: What has helped contribute to your success with patients? Dr. Micheli: I think the thing that has helped the most in contributing to my success with patients is the fact that I was very active in sports and sustained a number of sports injuries. I can see the issue from the other side and the view point of the patient. In addition, I was able to observe my own two daughters as they were active in dance and sports. My youngest daughter, Amanda, became a national level competitor in rugby football. Knee1: What is the current standard of care for treating knees? Dr. Micheli: We deal primarily with knee problems in the child athlete. Our major goal in the area of child sports injuries is to promote early identification and diagnosis of injuries and in most cases, early treatment before further damaged has been done to the knee. This includes conditions such as osteochondritis dissecans and anterior cruciate ligament injuries in children. Knee1: How has arthroscopy changed over the years with advancing technology? Dr. Micheli: Arthroscopy has become increasingly sophisticated. The quality of the telescopes and decreased size of the telescopes has greatly aided us particularly in the management of smaller knees in smaller children. In addition, the hand instruments and the mechanical instruments have also been decreased in size so that now they are much more practical for using it on the children that we deal with. Knee1: What is the most common injury that you treat? Dr. Micheli: The most common injury we deal this in this age group still involves the patella femoral joint and disorders of the patella femoral joint. However, close second is a growing number of anterior cruciate ligament injuries in this age group. Knee1: What procedures do you most commonly use for knee injuries? Dr. Micheli: The procedures that we most commonly use for knee injuries are child-specific repairs of the anterior cruciate ligament which avoids the growth plates in the child and is a technique we have developed here at this hospital. In addition, we use early intervention and fixation treatments for conditions such as osteochondritis dissecans. Knee1: Can you share an example of a particularly satisfying case? Dr. Micheli: A particularly satisfying case would include the case of an 8 year old gymnast who had sustained an injury to her anterior cruciate ligament. She had received advice from other centers that she was through with any sports and she would have to wait until she was fully grown before a repair of her anterior cruciate ligament could be done. Following our successful repair of her anterior cruciate ligament, which is a technique that avoids the growth plates and allows for ongoing and uninterrupted growth, she was able to resume full gymnastics competitions and training. Knee1: What are some of the common causes for knee injuries? Dr. Micheli: The common causes for knee injuries still leading the list is acute traumatic injury, such as injuries to the anterior cruciate ligament. However, we are seeing increasing overuse injuries in this population. Certainly osteochondritis dissecans is an overuse injury which seems to be increasing in numbers. Knee1: How has your training in Sports Medicine helped you treat knee injuries? Dr. Micheli: Our training in Sports Medicine helps us treat injuries in so far as the whole goal of sports medicine is early but safe return to sports participation with complete rehabilitation. We have taught our colleagues and ourselves that it’s not enough to simply diagnose and treat the injury be also the very careful and focused rehabilitation in order to return to a level of fitness and training that will allow safe participation is an equally important part of the whole training of the athlete. Knee1: Typically, how long is recovery after knee surgery? Dr. Micheli: Recovery from knee surgery varies very much on the condition treated. If it were a meniscal repair or osteochondritis drilling and treatment it takes 3 months to recover from this condition or to play sports. For anterior cruciate injuries it takes at least 6 months. Knee1: What other advice do you have for patients with knee problems? Dr. Micheli: In this age group if your pain is increasing over a period of three weeks or more or if there is any evidence of swelling of the knee then immediate assessment and evaluation is strongly recommended. Knee1: What advice can you offer about how patients can maintain good knee health? Dr. Micheli: Advice to maintain good knee health is a systematic and daily exercise program that strengthens not only the quadriceps but only the hamstrings of the knee and builds up the endurance of the lower extremities in preparation for sports.